Twitter briefly entertained the idea of a merger with Yahoo, and senior Twitter staff met Yahoo CEO Marissa Mayer to discuss a possible deal. The companies met “several weeks ago,” sources told the New York Post, but Twitter broke off the talks soon after, the newspaper reported Thursday night. Yahoo put its core Internet business up for sale in December, after giving up hope of finding a tax-efficient way of selling its 15.4 percent stake in Chinese e-commerce giant Alibaba.com. The value of that stake, between $20 billion and $30 billion today, far exceeds the value of the rest of Yahoo. Estimates of the worth of Yahoo’s core Internet business vary greatly, but many put it at between $4 billion and $8 billion. Twitter had about $3.6 billion of cash in hand at the end of the first quarter, so an acquisition of that scale wouldn’t be such an outrageous idea. But Twitter seems not to have taken its bid particularly seriously, according to the Post: While Yahoo CEO Mayer met Twitter officials, that company’s CEO Jack Dorsey was not among them. “When your CEO doesn’t show up for a management meeting, you have to wonder how serious it was,” a source told the Post, adding that the interest was speculative rather than driven by some grand strategy. 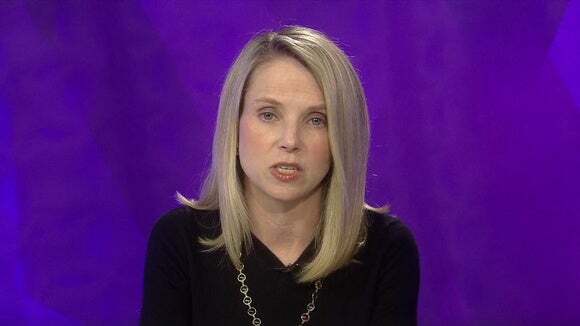 Yahoo also owns about a third of Yahoo Japan, a joint venture with Japanese Internet company SoftBank. That stake is said to be worth around $8 billion. SoftBank is also an investor in Alibaba. SoftBank is unlikely to be among Yahoo’s suitors, though. It has an appetite for U.S. companies (it owns a majority stake in Sprint) but is short of cash at the moment. Earlier this week, it sold part of its stake in Alibaba back to the company. Around 40 companies are said to have expressed an initial interest in Yahoo, but only a handful have followed up. Among the drop-outs are Alphabet, Google’s parent company; IAC/InterActiveCorp; Comcast, and AT&T, according to The Wall Street Journal. Another rumored bidder, Verizon is said to be still very much in the running: The company already snapped up one-time Yahoo rival AOL last May.